Shoot, Catch and save the World! 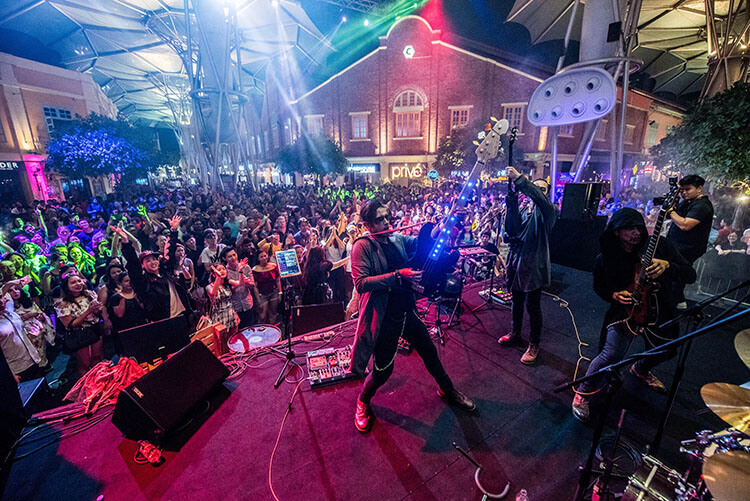 Halloween at Clarke Quay returns with a spectacular watery underworld theme party – Tales of the River from 27 to 31 October 2018. This event features the first-ever virtual reality technology whereby visitors can immerse in real-world interactions with the apocalyptic zombie and monster. 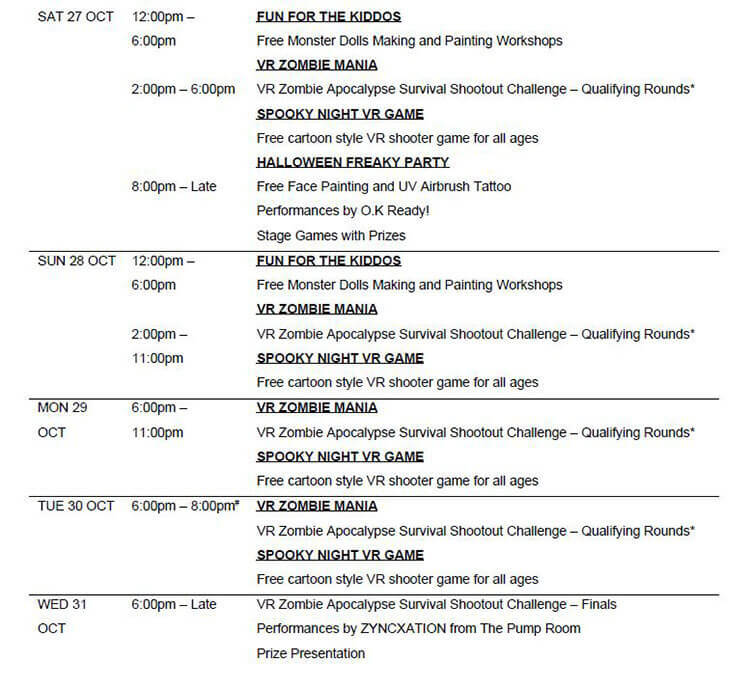 There are many exciting Halloween activities from day to night! 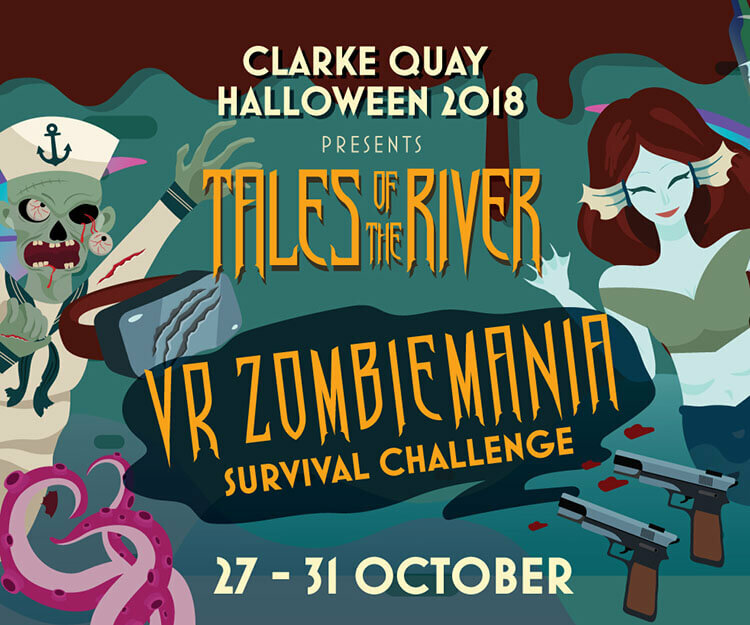 Visitors can take part in Tales of the River’s virtual reality Zombie Mania Shoot-Out Challenge – Spooky Night. This is a free cartoon style VR shooter game filled with cute goblins, zombies and monsters; and is suitable for all ages. Alternative, visitors can participate in The BrookHaven Experiment where for 200STAR$ or $20 on a same-day receipt, players get to use weapons and tools to survive and fight off zombies and creatures dead set on destroying the world. The top 10 finalists of The BrookHaven Experiment VR challenge will then battle it out for the final play in apocalyptic mode on the 31st of October where they stand to win up to $3,000 worth of prizes such as PS4 Pro 1TB, Nintendo Switch, Razer Headset and vouchers. 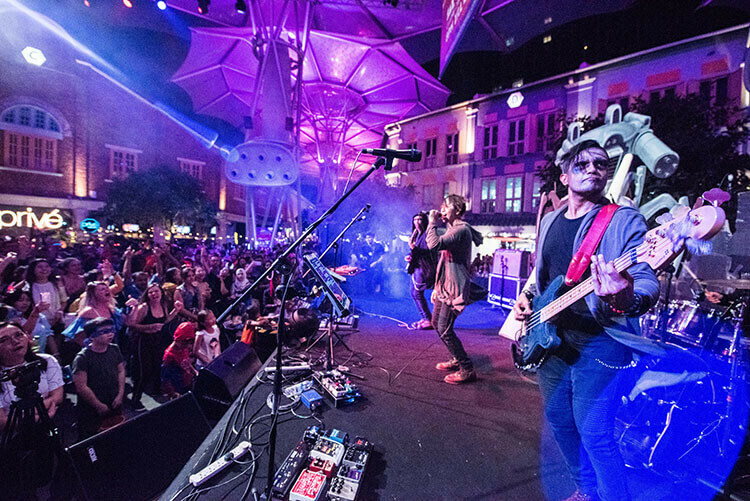 When night falls and the creatures emerge on the 27th of October, Clarke Quay’s Fountain Square will metamorph into a scream-worthy hive of activities. The highlights of the freaky opening party include music by O.K Ready!, stage games, “Best-Dressed Contest” with plenty of prizes to give away. 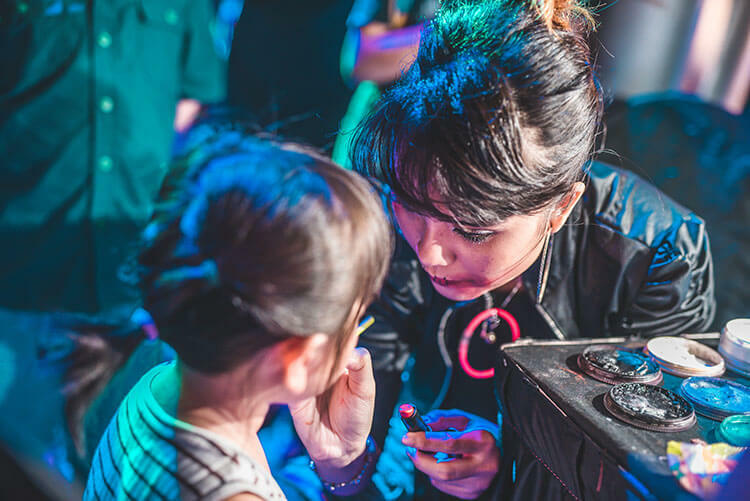 Tales of the River will also feature kid-friendly daytime activities such as monster doll making and painting workshops on the weekend of the 27th and 28th of October, noon to 6pm.